The Students of the 826 Valencia Writing Project + Diana Toledano. 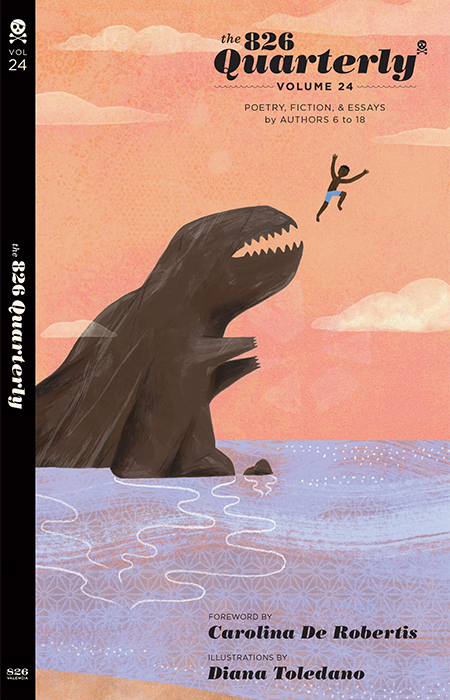 This edition of the 826 Quarterly contains fiction, non-fiction, and poetry written by authors ages 6-18, accompanied by black and white illustrations. The pieces are selected from all the 826 programs (drop-in tutoring, workshops, in-schools, projects, field trips) and at-large submissions. Pieces are chosen in a traditional literary journal style by an editorial board comprised of students and volunteer tutors.